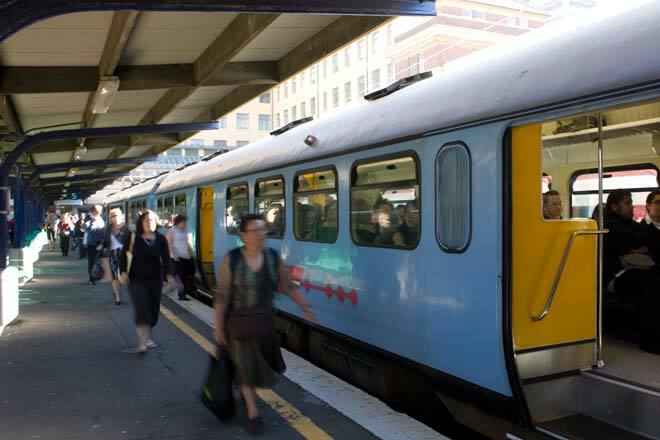 Wellington is New Zealand’s commuter capital. People travel by train from the Wairarapa, the Hutt Valley, Johnsonville and the Kapiti Coast to work in central Wellington. These passengers are boarding an outward-bound train at the end of the working day.